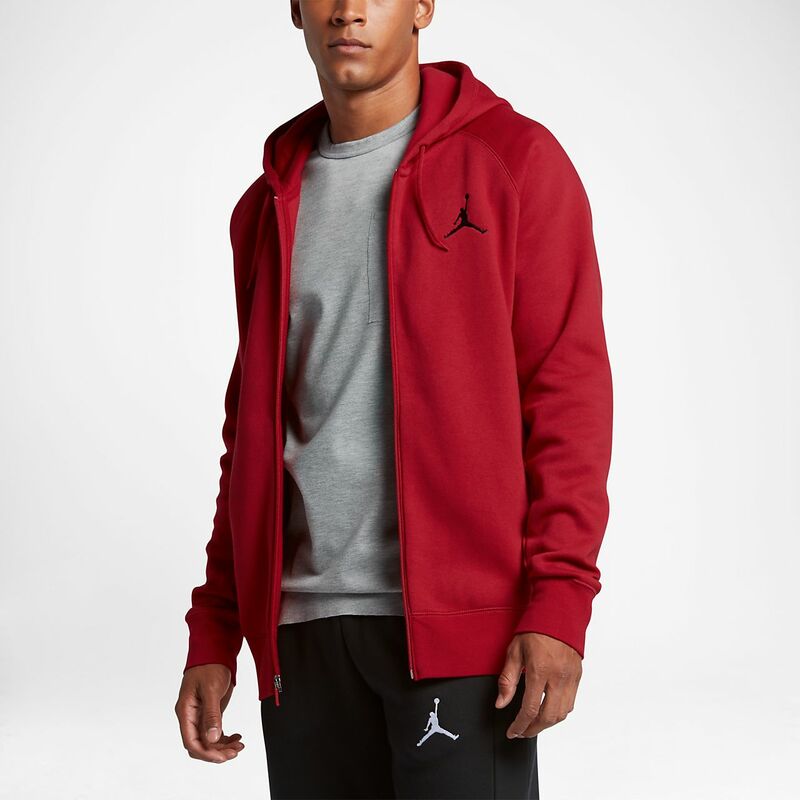 The Jordan Flight Men's Basketball Full-Zip Hoodie features brushed French terry fabric and raglan sleeves for lightweight warmth and lasting comfort. The Jordan Flight Men&apos;s Basketball Full-Zip Hoodie features brushed French terry fabric and raglan sleeves for lightweight warmth and lasting comfort. Fabric: Body: 70% cotton/10% organic cotton/20% polyester. Rib: 88% cotton/10% organic cotton/2% elastane. Okay this is just what I look forward to in sweats. Cotton and very soft. Jordan embroidered on left chest. I purchased 3 colors: Red, carbon & navy. The colors are true. The red is True Red, Apple Red. The carbon is a smokey deep grey. The navy is a gentle navy blue, not a deep dark navy. If you have the pants to match even better. These colors and style do go nice with last years bottoms as well. Sometimes style and color vary slightly season to season but, not these, these will match up nicely. From the gym, park, or store to the casual friendly visit or street gear, it Works! 1 star off because it does run slightly less roomy than expected. Hope this helps. Enjoy!